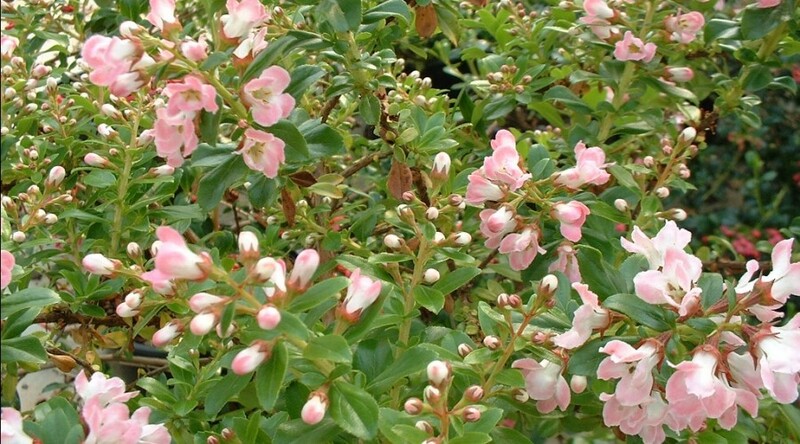 A bushy evergreen, arching shrub with glossy, dark green leaves. Pretty peach-pink flowers with white centres. Height 2.5m. Spread 2.5m. Flower colour Peach, White. Flowers from May to July. Evergreen. Foliage colour Green. Frost hardy. Sheltered Site.